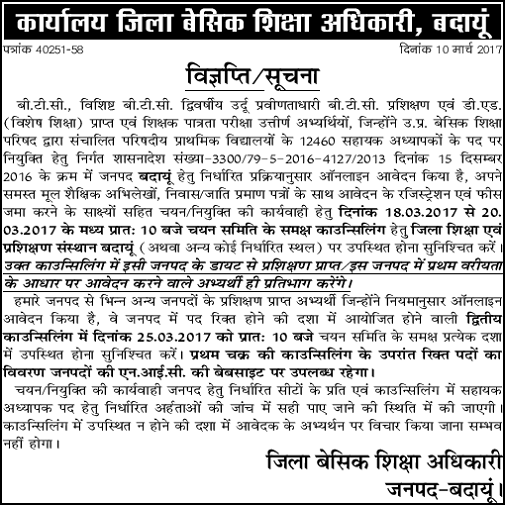 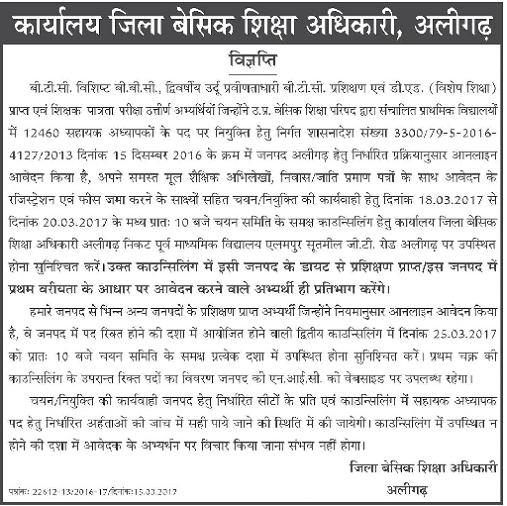 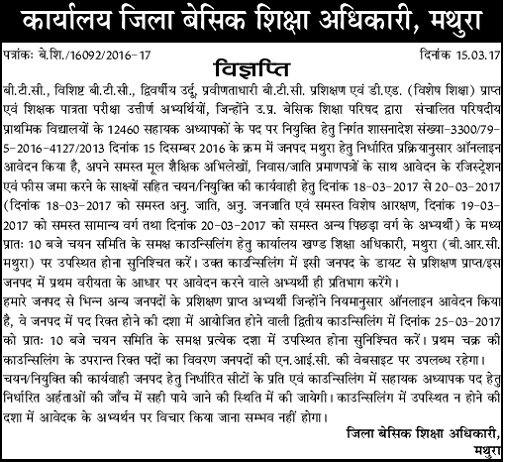 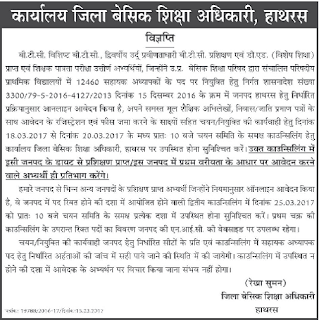 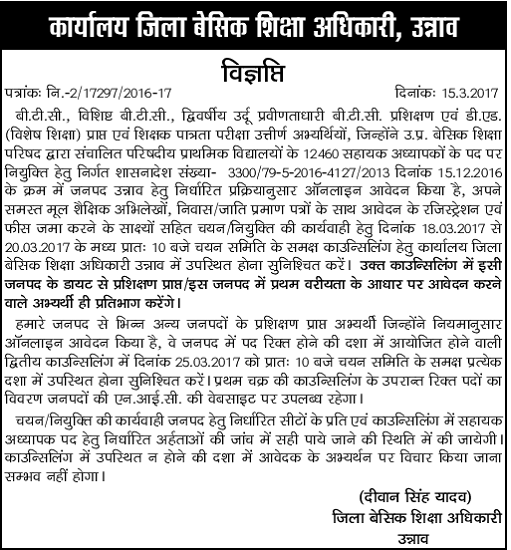 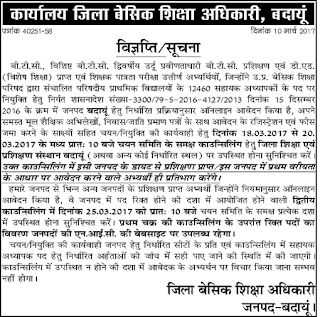 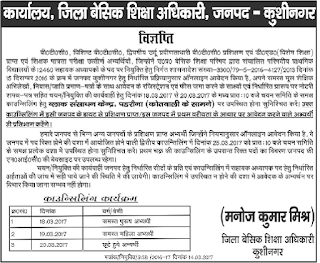 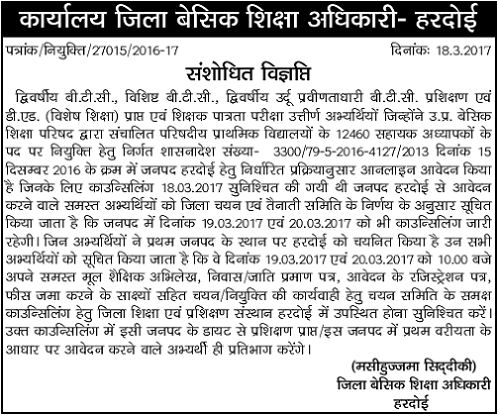 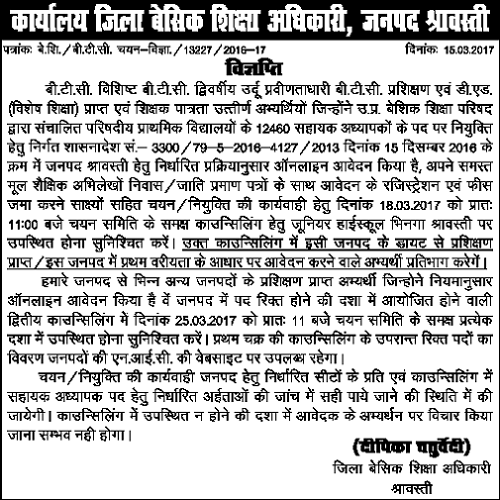 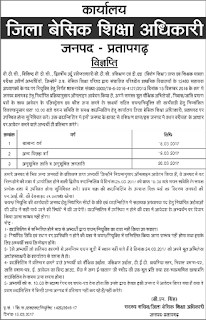 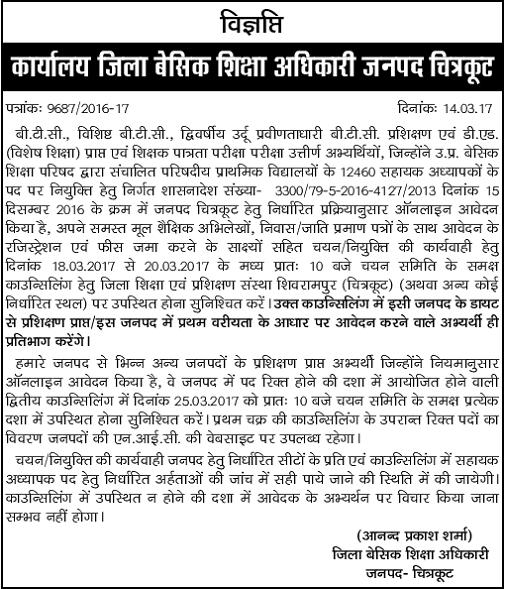 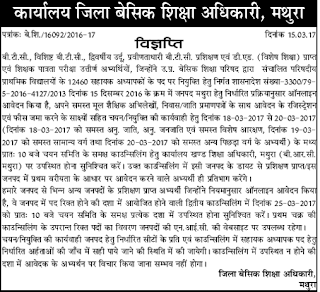 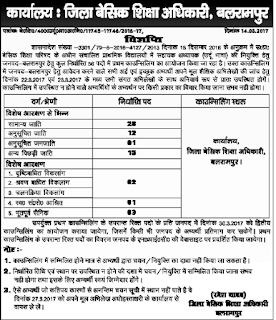 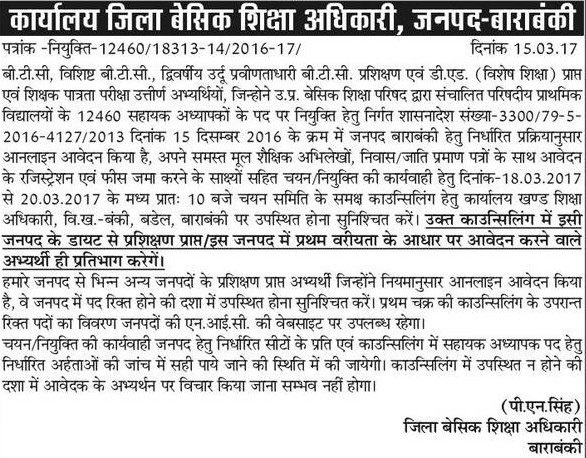 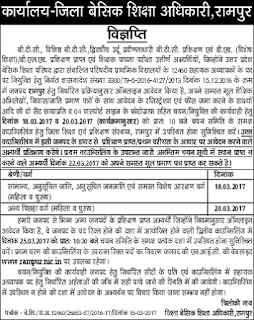 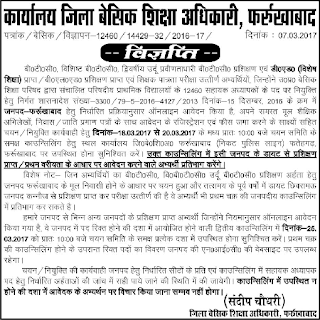 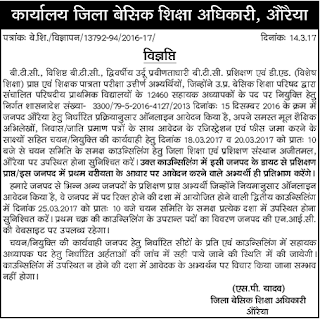 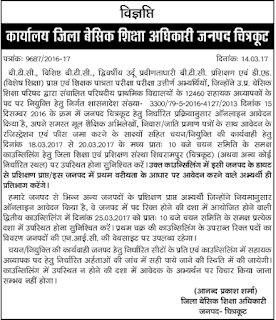 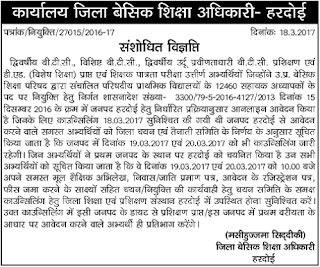 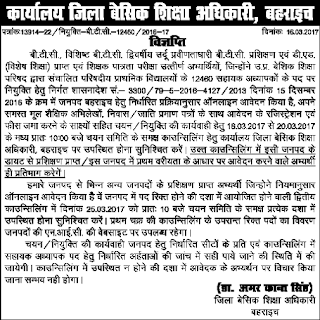 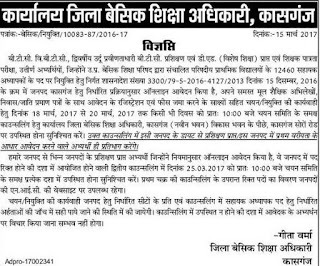 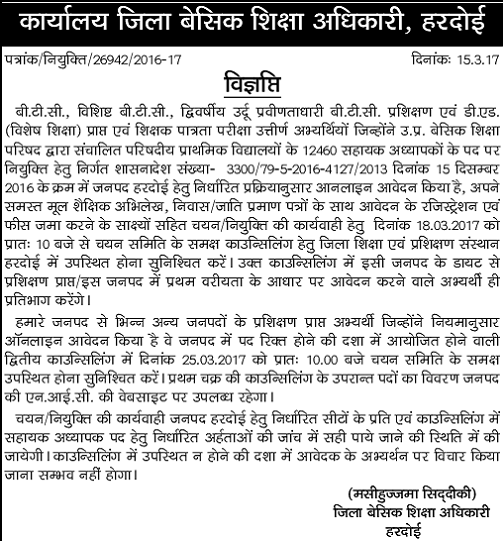 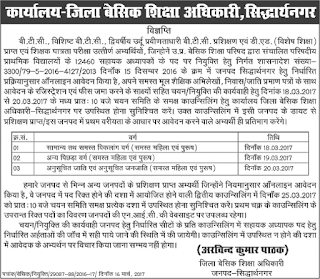 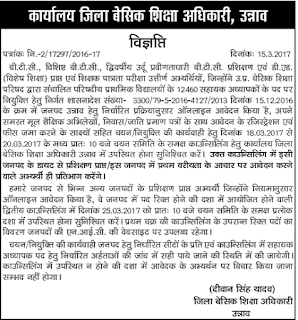 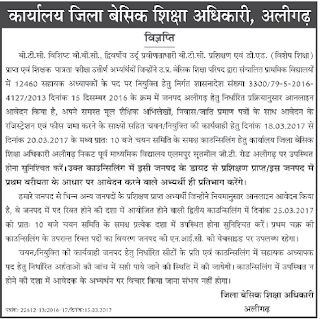 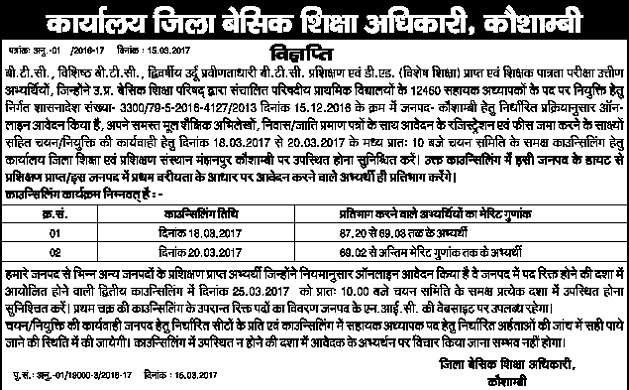 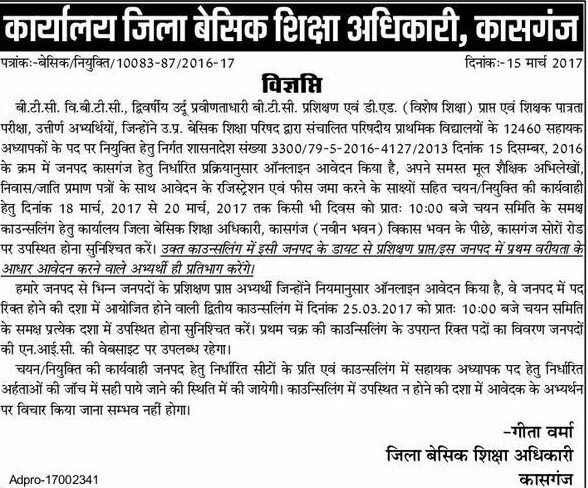 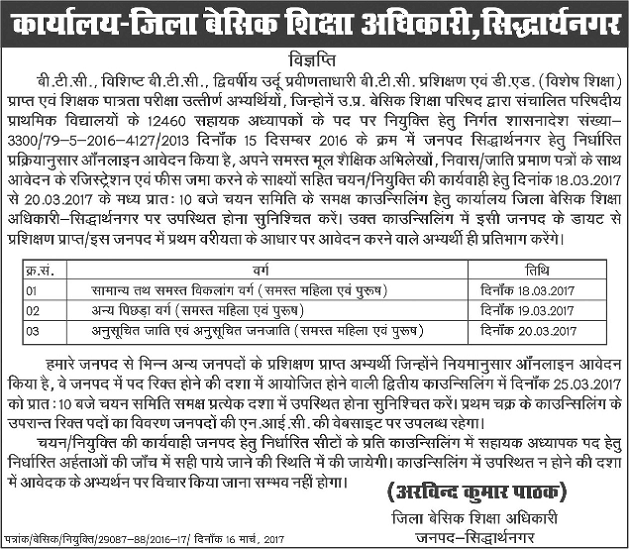 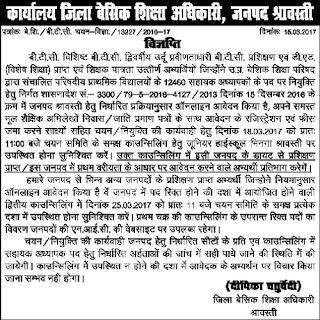 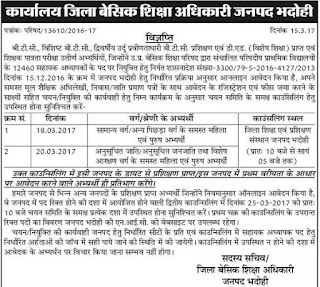 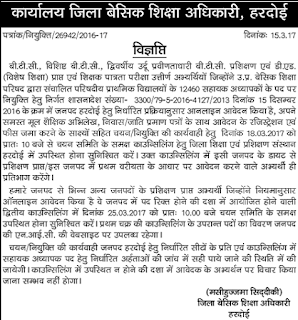 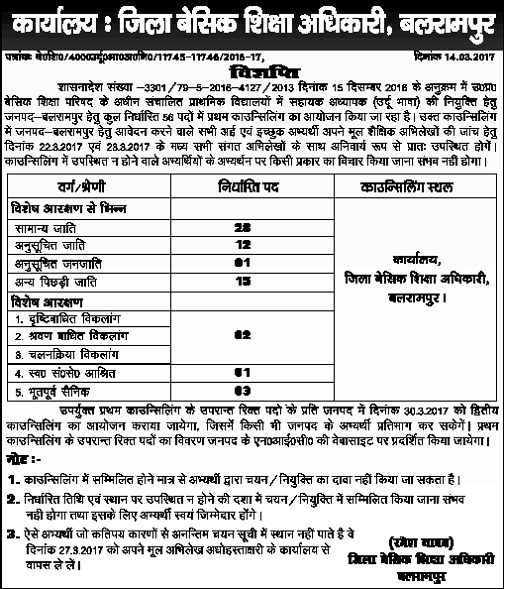 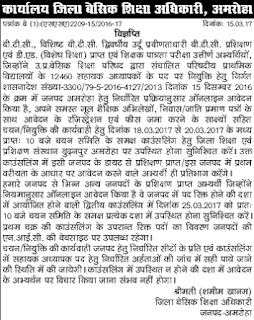 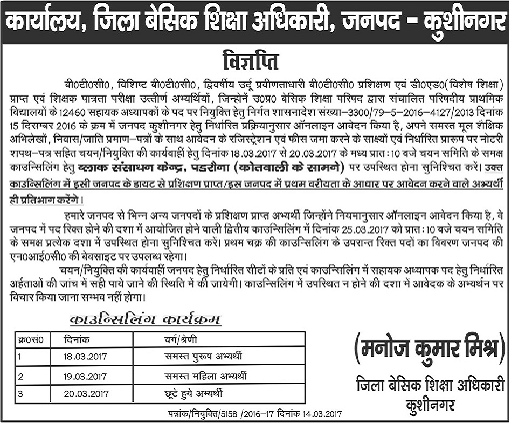 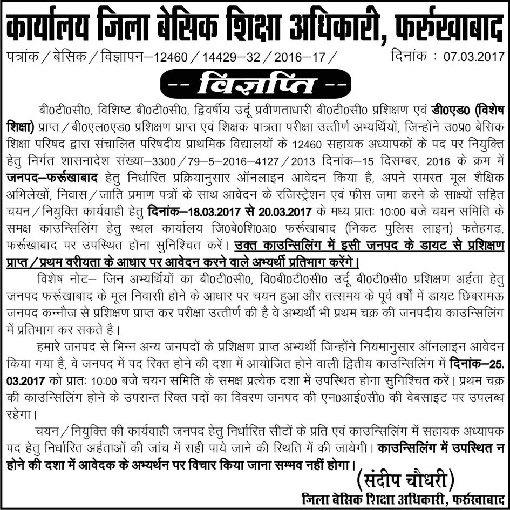 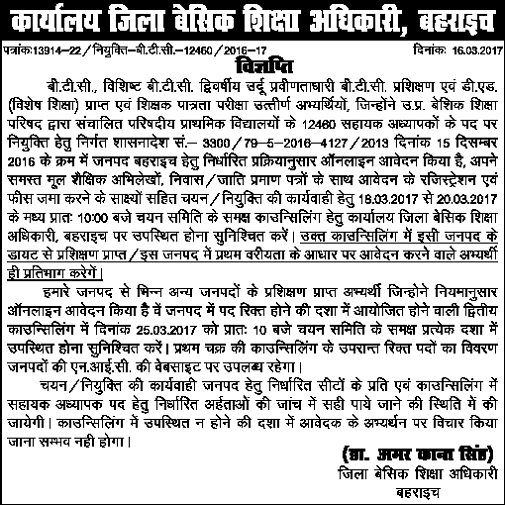 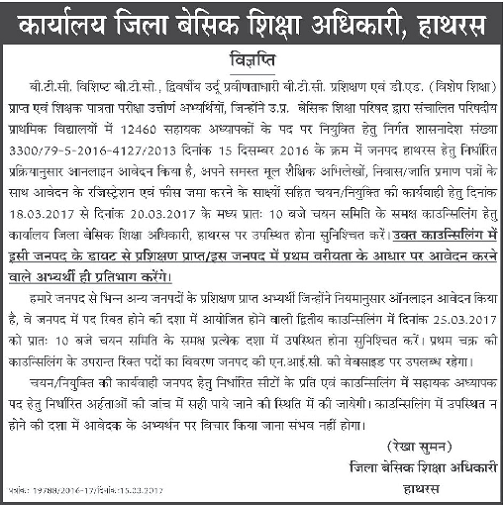 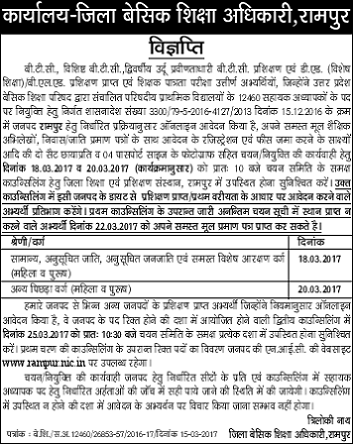 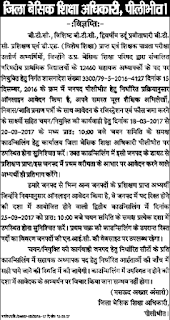 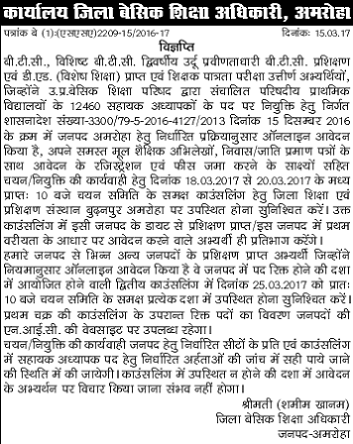 Uttar Pradesh Basic Shiksha Parishad is going to conduct counselling for 16460 Teacher Posts in Primary Schools. 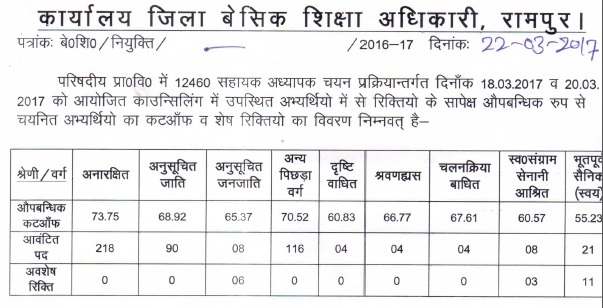 Among these, 4000 are for Urdu Teacher and other 12460 are for Primary Teacher other subjects. 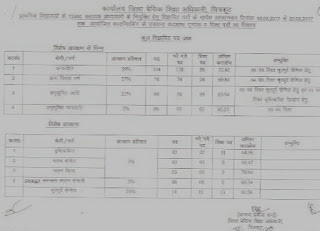 The selection is to be done through counselling to be held district-wise. 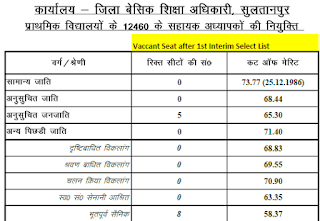 As the application process complete, the board will prepare the merit list for candidates. 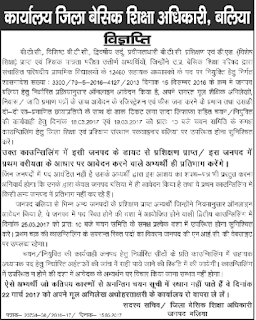 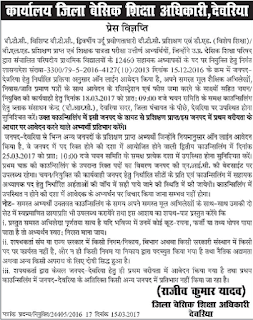 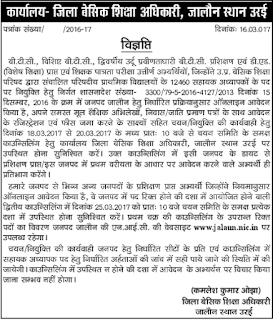 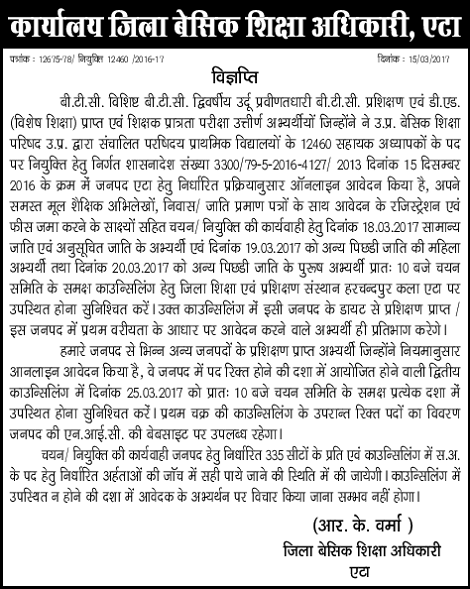 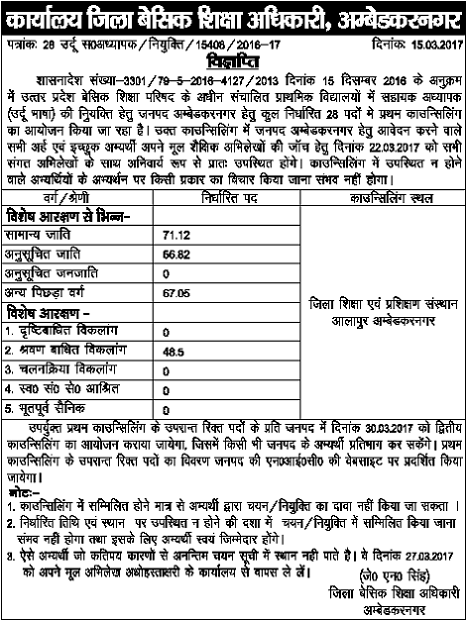 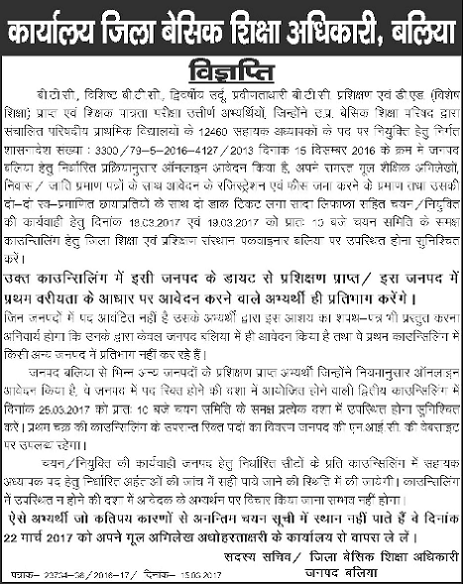 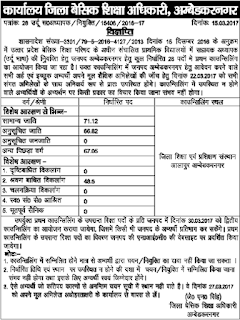 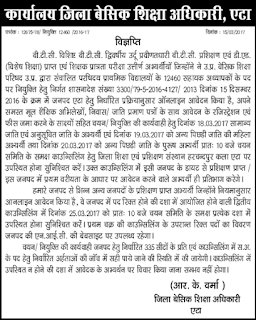 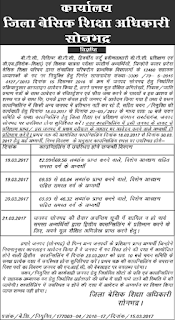 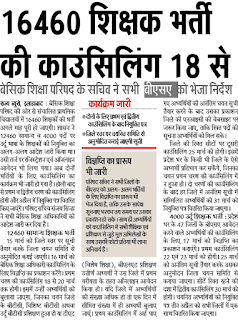 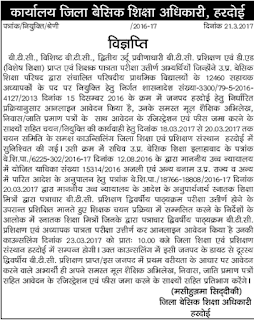 Here you can check UP 12460 Bharti Counselling Merit list Cut off vigyapti latest news below. 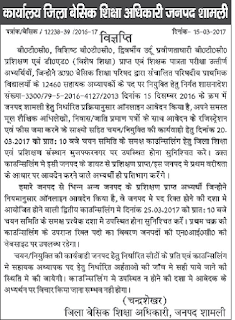 भर्ती प्रक्रिया अभी शुरू नहीं हो पाई है इस भर्ती के बारे में आपको इस पेज पर लगातार सूचित किया जाएगा । .. 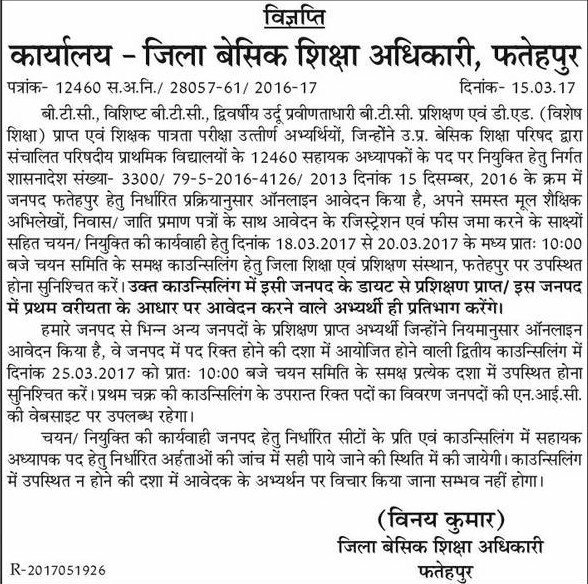 The 1st and 2nd counselling dates had been declared along with the complete scheduled of UP 16460 Recruitment. 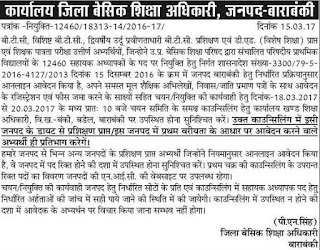 The counselling of 16460 Primary teacher (12460 General & 4000 Urdu Shikshak) is going to be held in upcoming days. 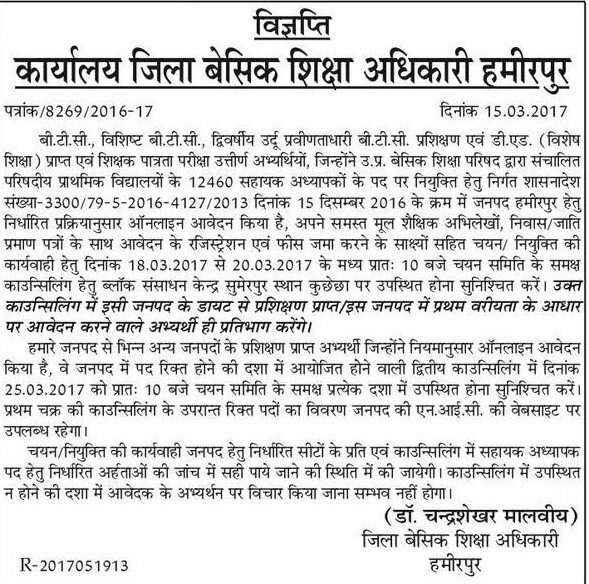 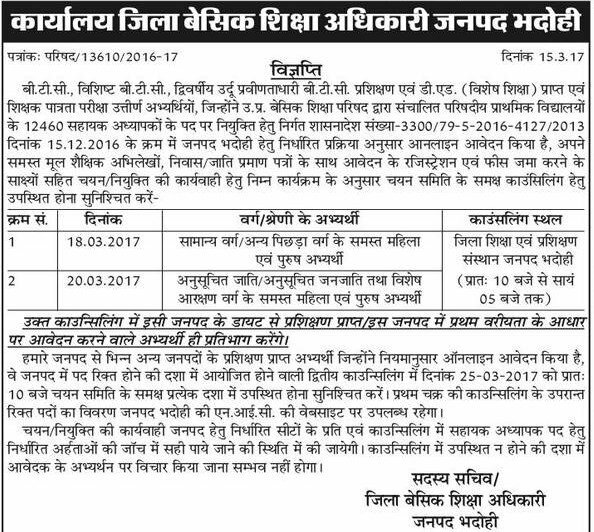 The dates will be declared by UP Basic Shiksha Parishad soon and we will keep you updated with all the latest news regarding this. 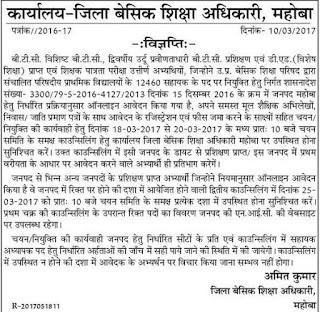 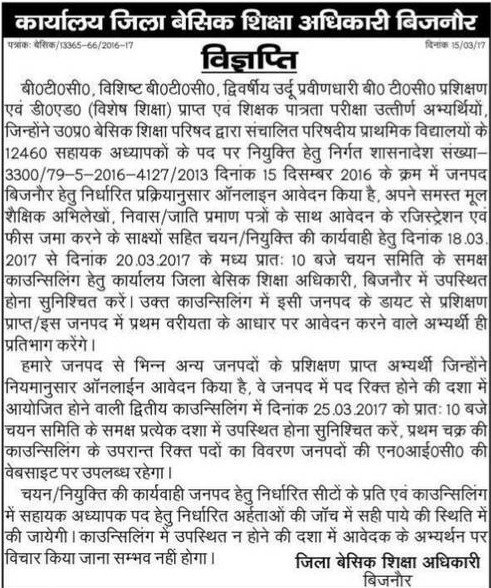 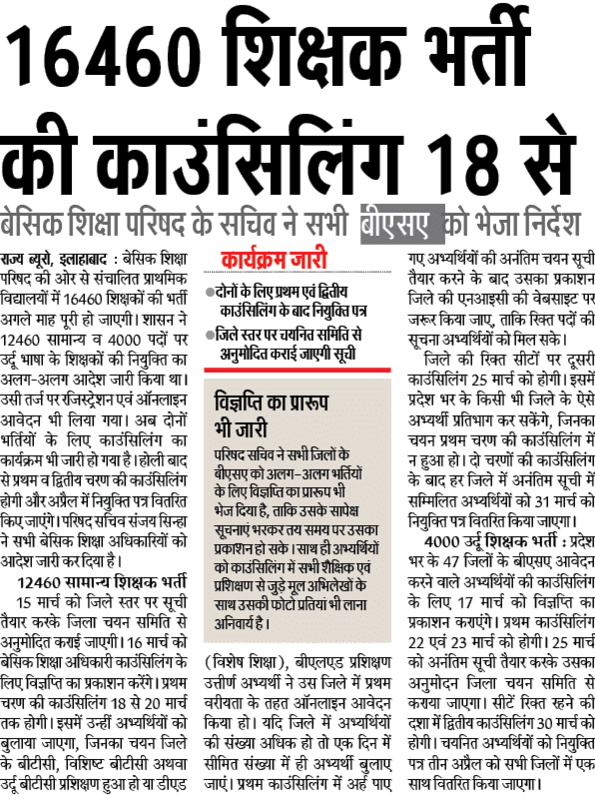 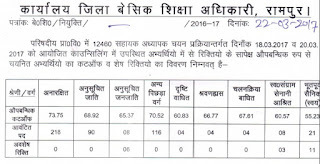 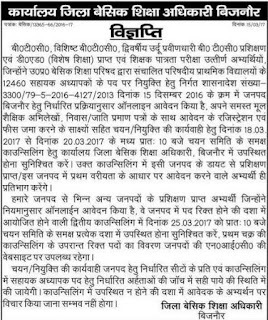 UP Basic Shiksha Parishad will recruit 12460 Primary school teachers through merit list and counselling. 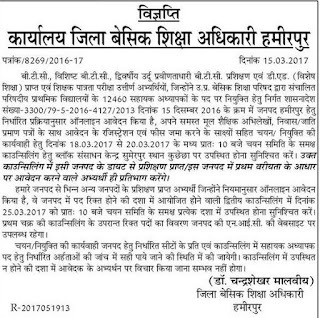 The dates of counselling had been declared now. 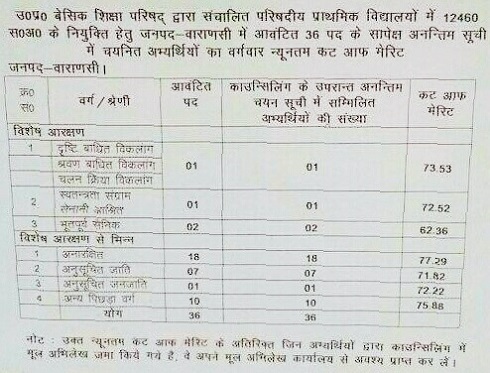 Merit List will be based on Performance of candidates in their academics. 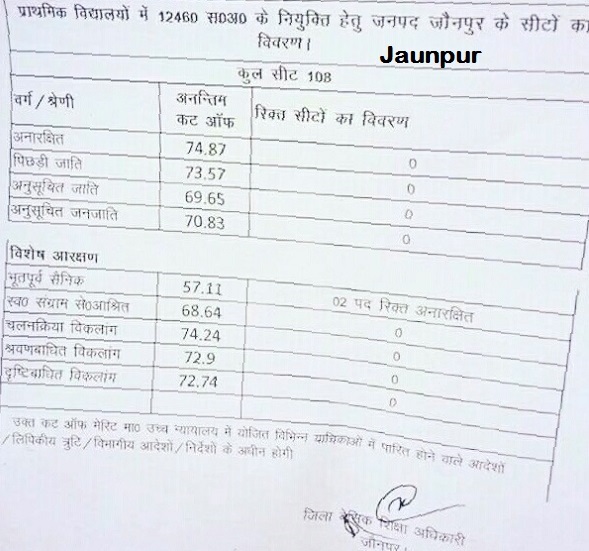 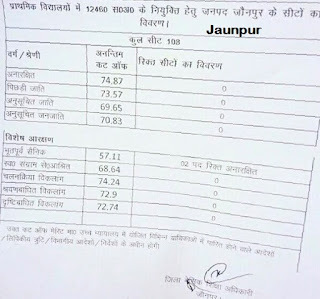 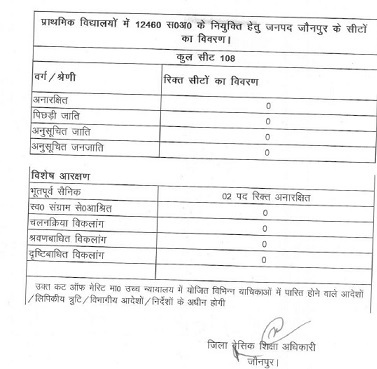 Merit List/ Cut Off will depend on District / Circle and will be different for each. 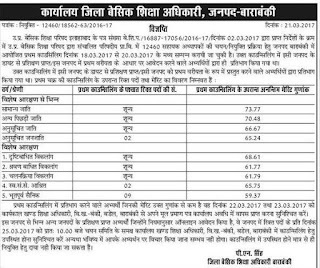 The merit list will be prepared as per the following method. 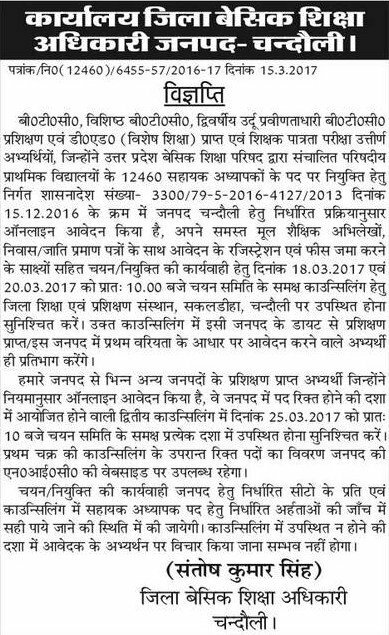 The marks of Theory & Practical in Training Period will be added as per division. 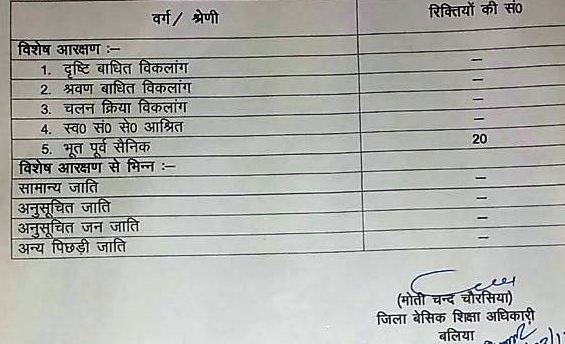 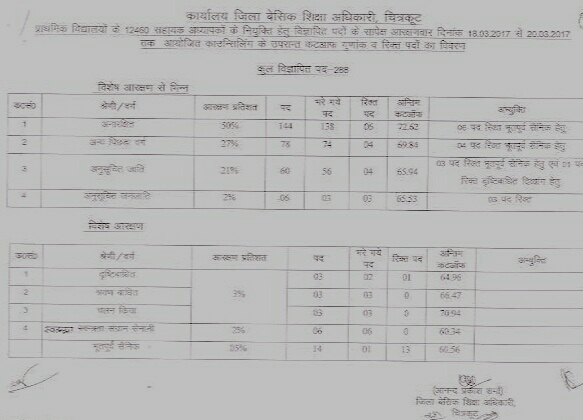 If two candidates got equal marks, then elder candidate will be given preference. Document Verification will be done at the time of counselling and documents will be taken. 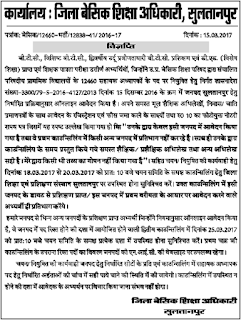 Also signatures, image, application will be verified at that time. 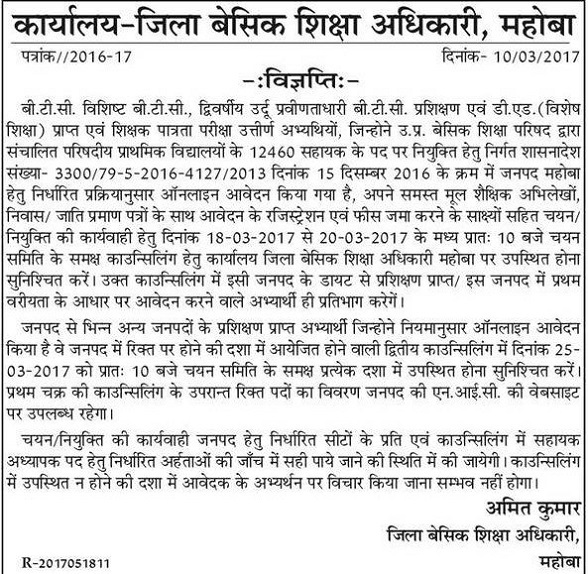 After all things being correct, joining letters will be given. 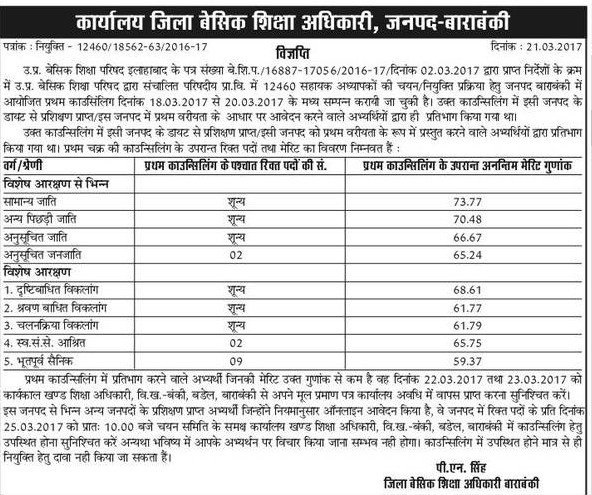 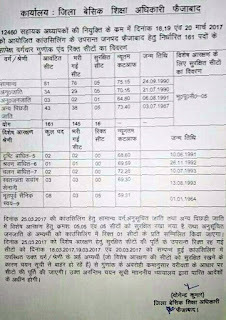 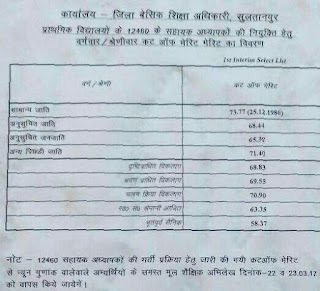 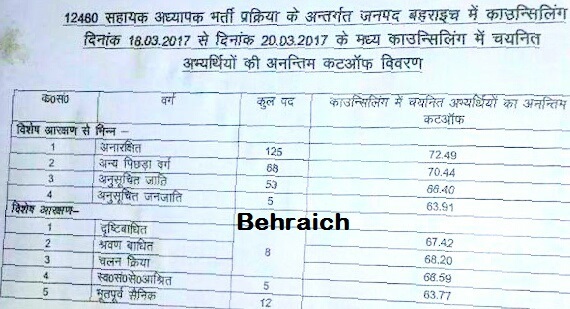 Each district will release its vigyapti in leading newspapers declaring the cut off marks used for each category of posts i.e. 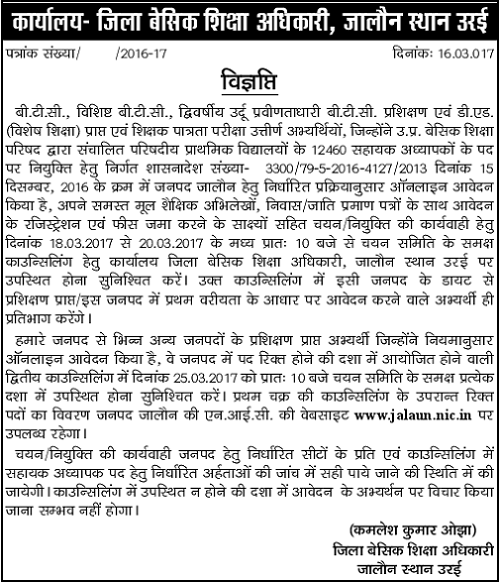 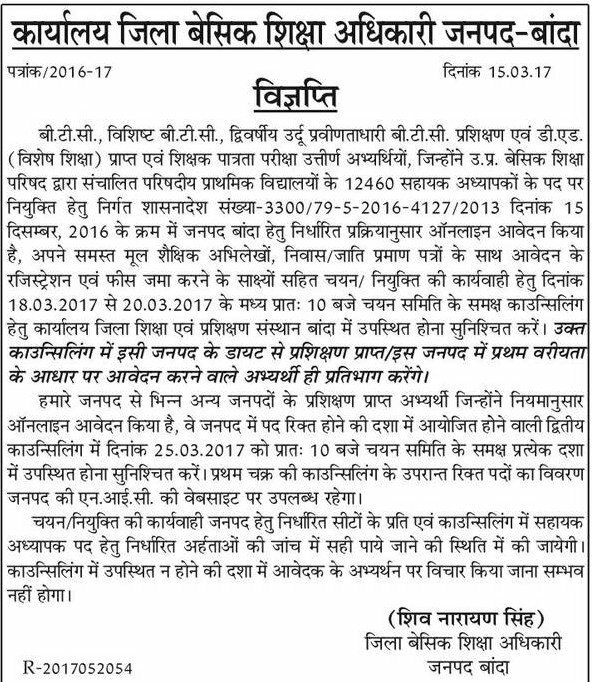 General, OBC, SC, ST, PWD etc. 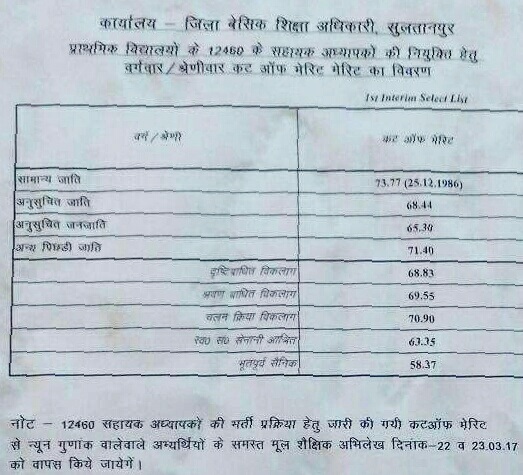 The Total No. 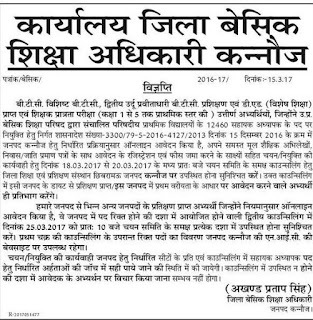 of vacancies are 16460 Assistant Teacher in Primary Schools. 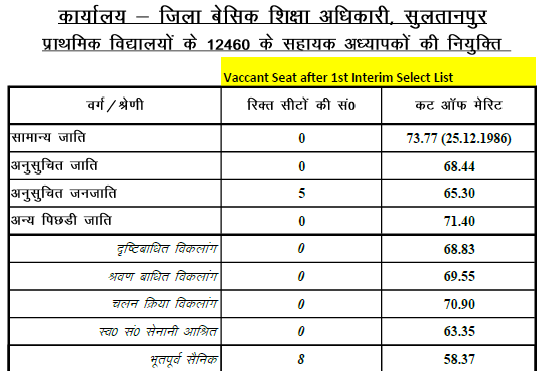 The vacancies will be filled district-wise (Check Districts list below). 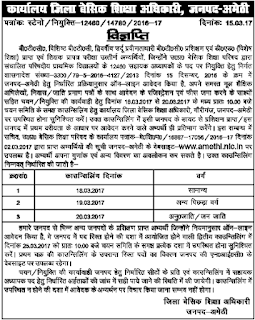 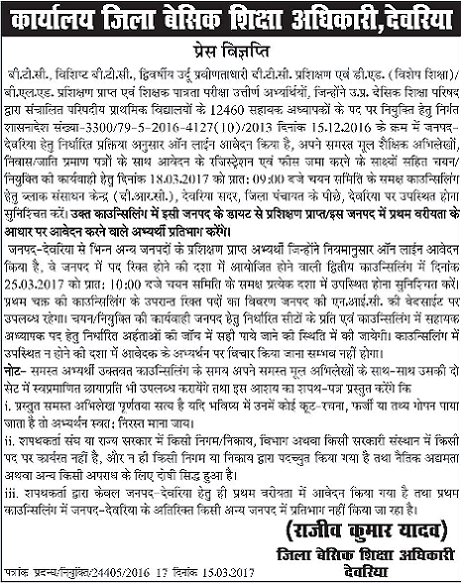 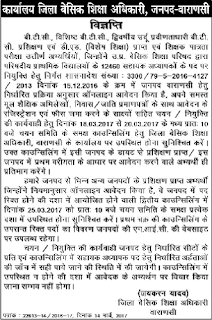 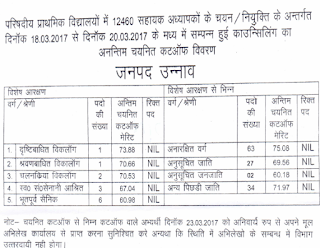 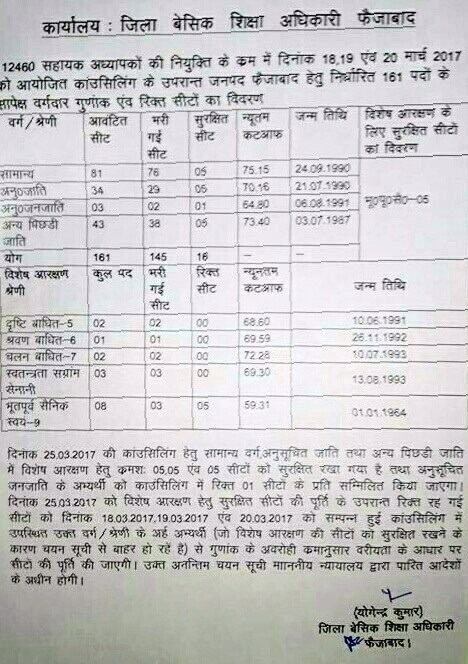 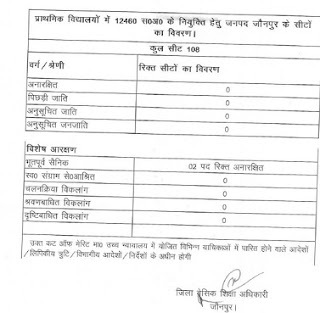 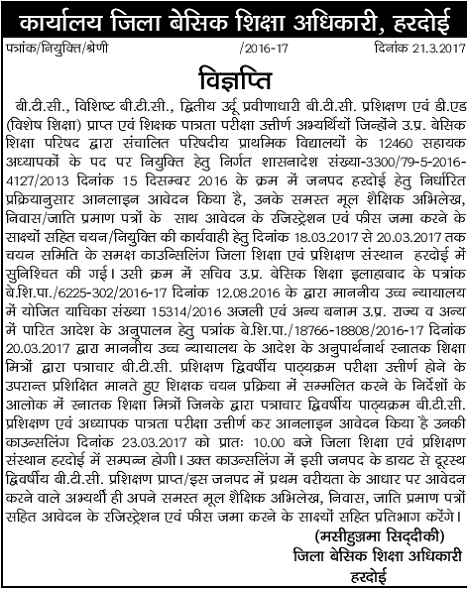 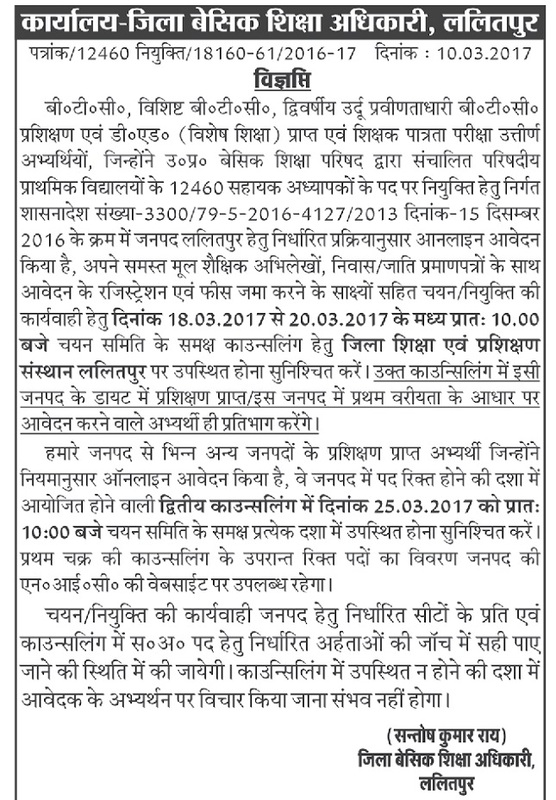 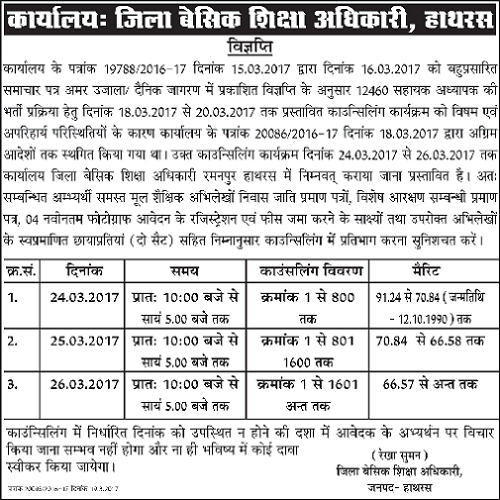 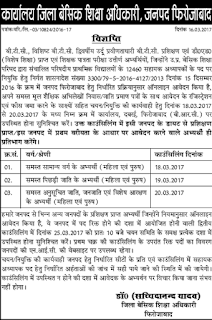 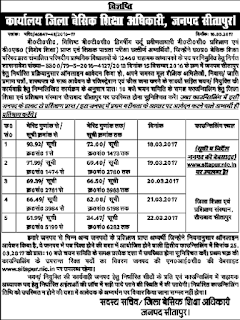 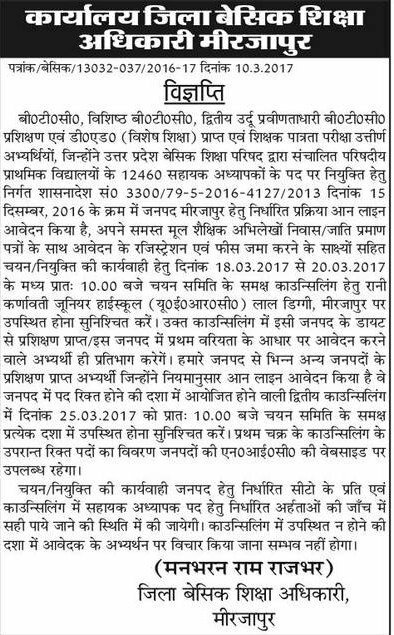 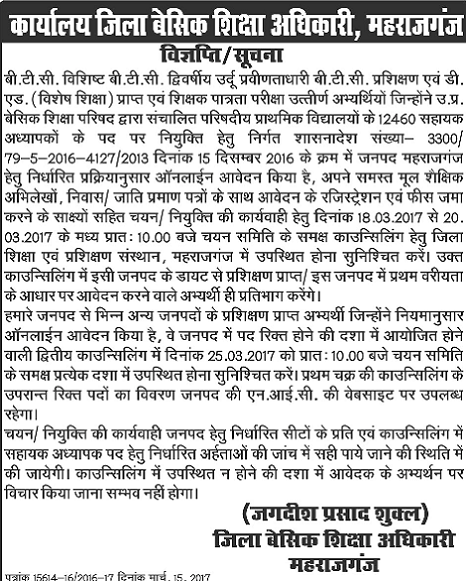 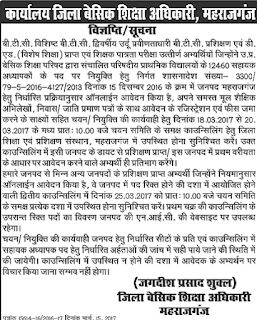 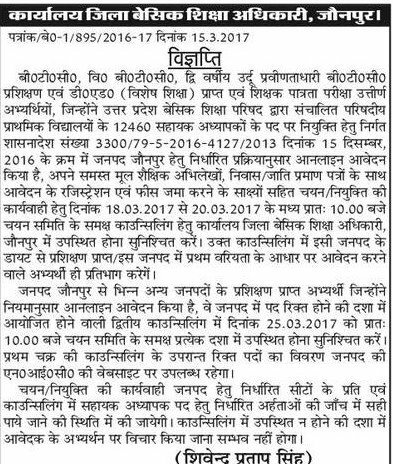 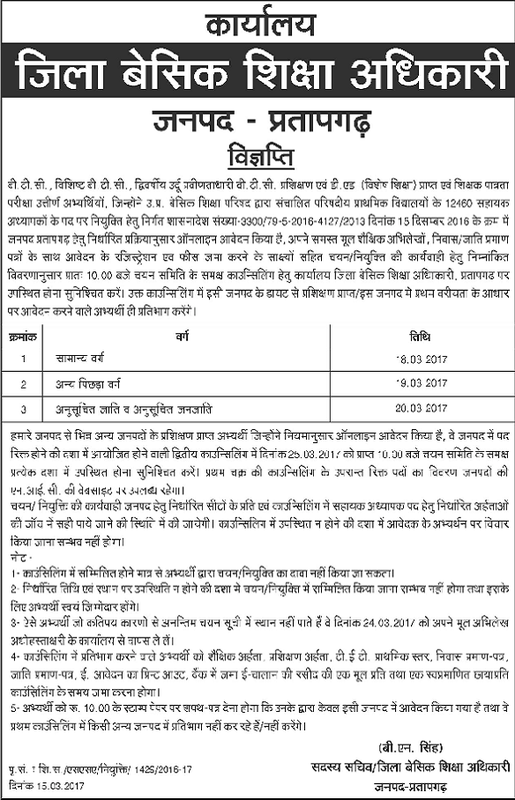 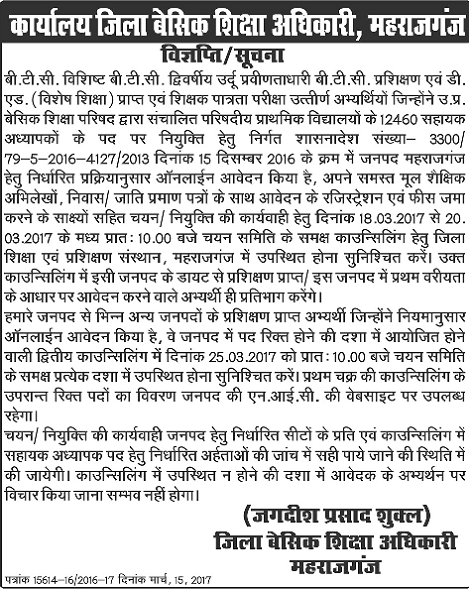 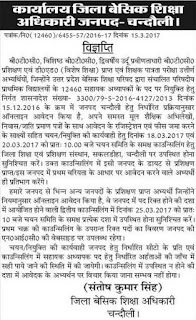 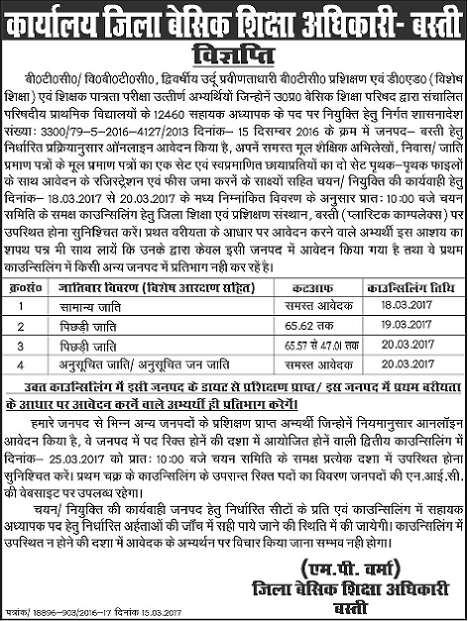 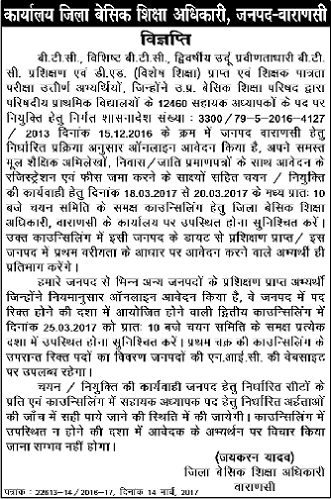 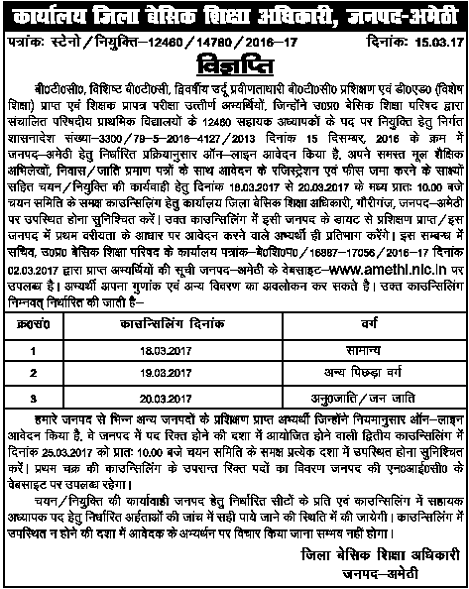 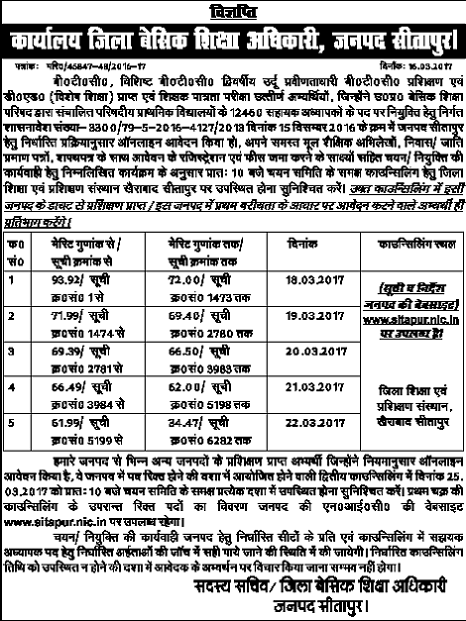 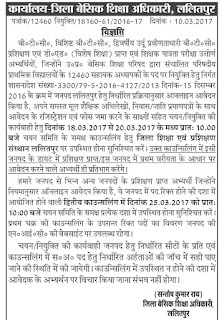 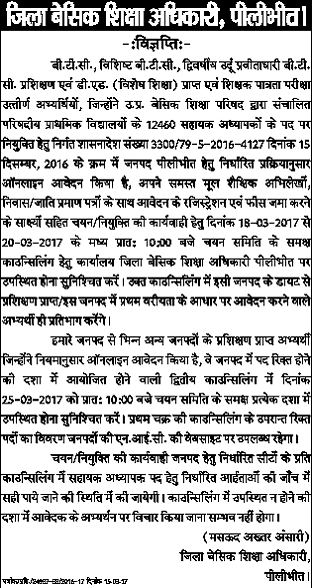 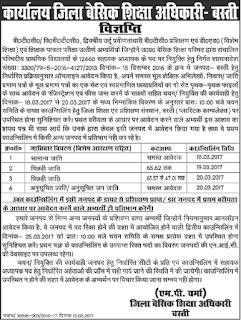 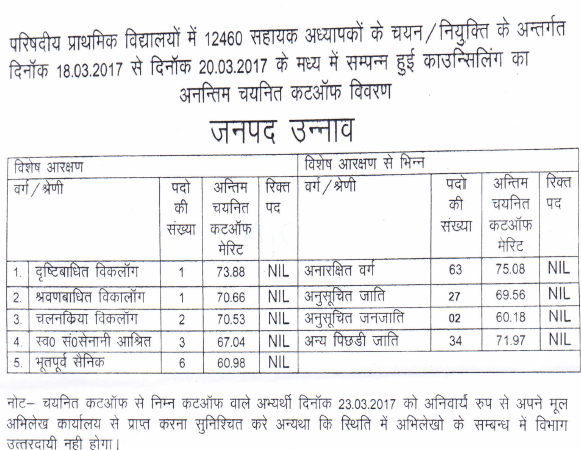 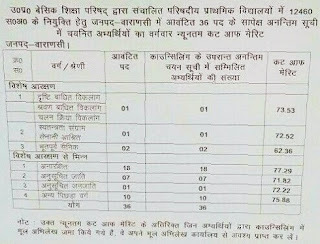 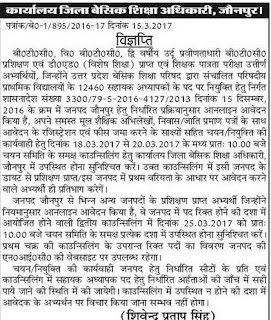 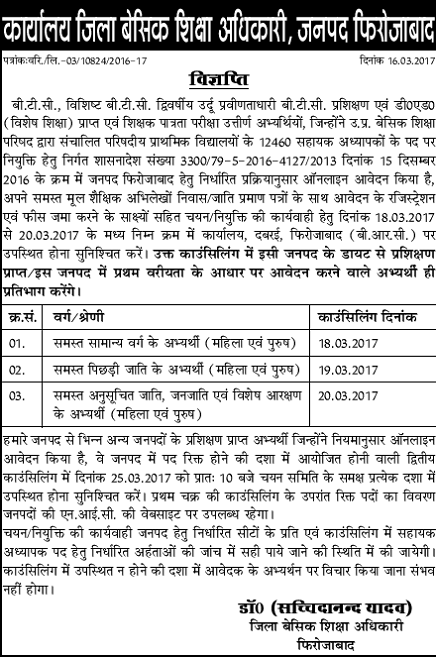 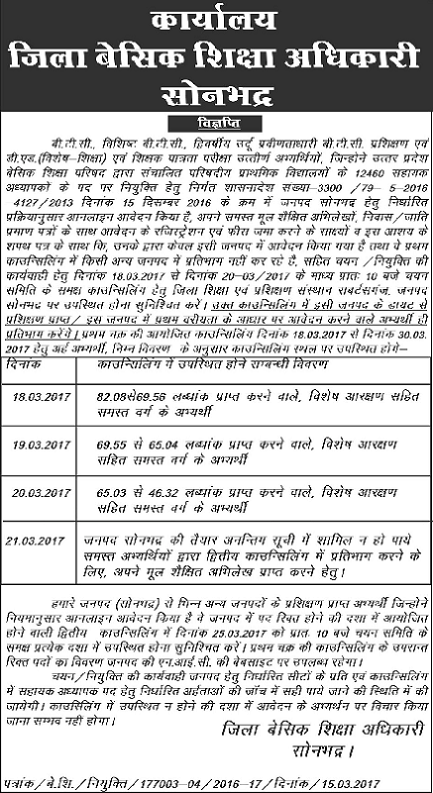 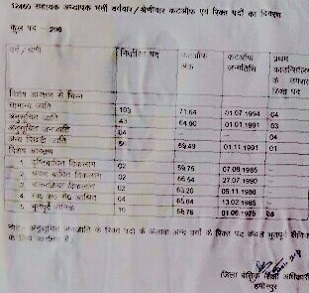 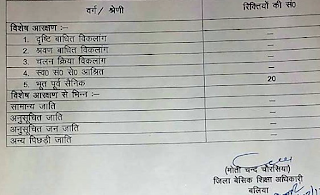 UP 16460 Counselling and merit list will be held at following districts. 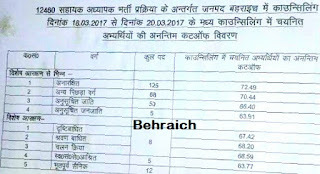 This 16460 bharti result will be out in coming days that will be notified on this page time to time. 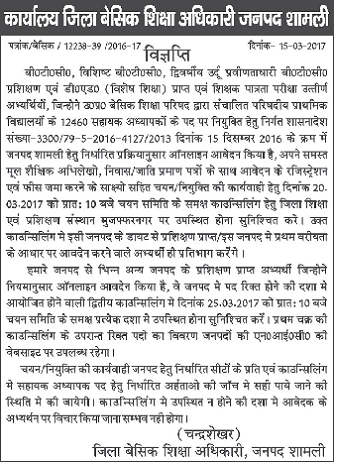 So bookmark this page for staying updated. 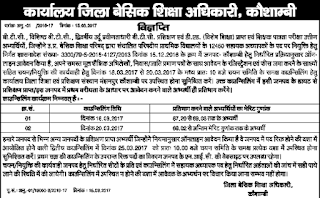 To be eligible to apply for these jobs, candidates have to possess Graduation with BTC or VBTC or Urdu BTC, D.Ed., B.El.Ed., UPTET (5th class) pass or CTET qualifications.